The founder of Facebook has tried to dampen a growing row over the ownership of user data on the social network. 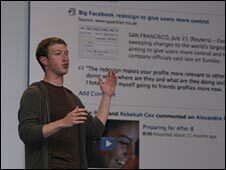 In a blog post Mark Zuckerberg stressed that users "own their information and control who they share it with". Concern grew when amended terms of service for the site deleted a provision that said users could remove their content at any time. Facebook, which has 175 million users, said the changes reflected how people used the site. Mr Zuckerberg said the changes were made to ensure that if a user deletes his or her account any comments or messages he or she had left on a friend's Facebook page would not also disappear. 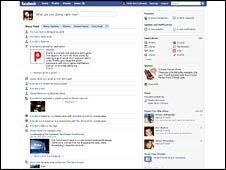 He said: "We think this is the right way for Facebook to work, and it is consistent with how other services like email work. One of the reasons we updated our terms was to make this more clear." He added: "In reality, we wouldn't share your information in a way you wouldn't want." Some Facebook users have created groups on the site to oppose the changes. It is not clear just how much data, or what types of data, is retained on Facebook if a user decides to shut their account.